CAN YOU FIND YOUR CHILD BELOW? Does your Child lack confidence? I am interested in Bully Proofing your Child! It is very easy for kids to suffer from a low self-assurance, self esteem, and self-reliance. At school is it the bully who constantly calls them names or the kids picking on them because they could not hit the ball? Or worse yet, was the bully a coach or teacher who does not understand the impact their words have on children? Is your Child Lacking in interest? Today there are many sports to pick from. 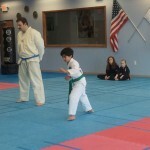 Has your child tried out many sports? but seem not excited by any of them? Do they just go through the motions without really getting engaging in what they are doing? 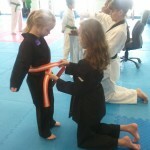 Are you interested in Bully Proofing your Child? Academic acheiver. Does your child surpass in various academic areas? At the same time do they feel uncomfortable in most physical activities? Do they say that they are non-athletic? THESE ARE THE CHILDREN WE LOVE TO HELP! Master Angel knows about bullying, as he was bullied himself. He understands, and he can help. 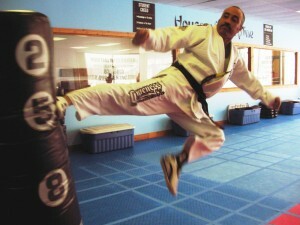 He has been training since the late 1960’s and has been teaching since the mid 1970’s. He is the father of 5 children. The oldest being 34, the youngest being 10, and he is also the grandfather of 3 grandchildren. 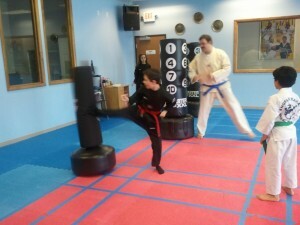 The whole family is in the martial arts, and the oldest 3 of his children are graduates from universities; Northwood University, Michigan State and Sienna Heights. 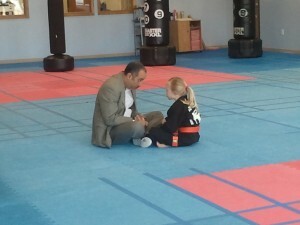 He has operated Angel’s Karate in Midland, MI, since 1988 and has touched the lives of many other children that today have become professionals such as, Lawyers, Doctors, Soldiers, Police officers, Swat team leaders, Pastors, Engineers, Computer science Engineers, etc……. Master Angel and his staff first inspires and supports students. The goal is to teach them how to discover proficiently. As they train to focus their eyes, mind and body, they get fully engaged in class. For the academic achiever, we give them positive experiences in mental and physical activities to begin the process of self image development. Trough the five Tenets of Taekwondo “Courtesy, Integrity, Perseverance, Self-Control, Indomitable spirit.” As their self-confidence improves so does their body’s mechanics and coordination. Preparing our youth for a better tomorrow!